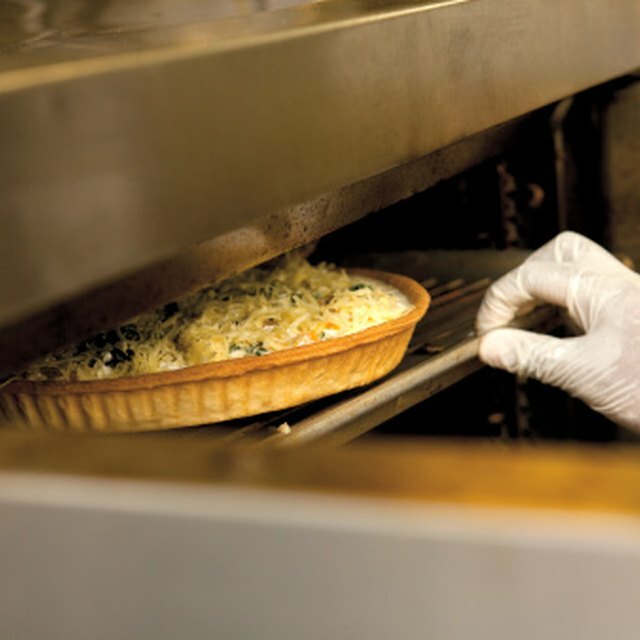 Laboratory thermometers are capable of accurately measuring temperature variations in a variety of mediums, including some caustic to human skin. Because of their construction, and their expense, it is important to know how to properly use a lab thermometer without breaking it. With some simple equipment and important knowledge, you can use a lab thermometer without a costly accident. Set up the stand. Typically, laboratory stands are of simple construction, with a thick, heavy base (usually of metal) and a long, thin bar extending upward. Depending upon your experiment, you may have to alter where your stand is positioned. For example, if you are using a Bunsen burner, you may have the legs of the stand straddling the burner, but if you are weighing a material as it undergoes temperature change, the stand's base can face away from the scale. Attach the clamp to the stand. The clamp has two ends: The first is a rubberized end that will hold the thermometer, and the other is a C-shaped end with a bolt through it. Unscrew the bolt and fit the clamp onto the stand. Tighten the clamp before moving on. Attach the thermometer. Fit the thermometer into the rubberized end of the clamp. Tighten the screw to secure the thermometer. 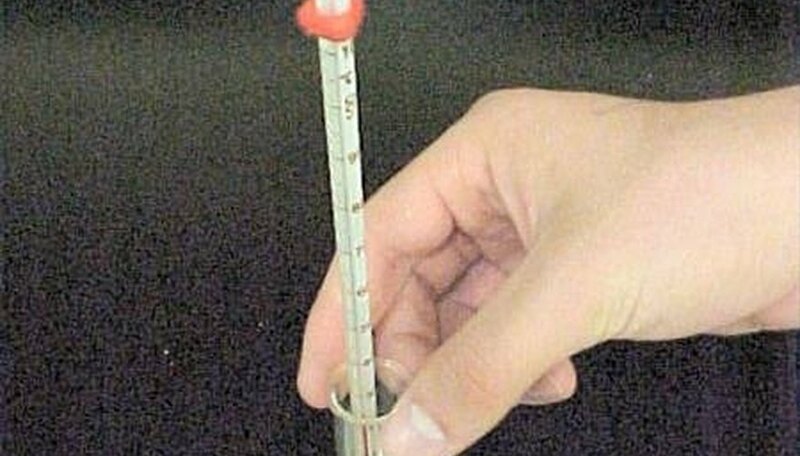 Place the end of the thermometer with the reservoir of liquid in the testing medium. For example, if you are testing the temperature of ice water, place the reservoir in the water, below the ice, but not touching the bottom of the flask or cup the water is held in. This will garner a more accurate temperature. Interpret the readings. 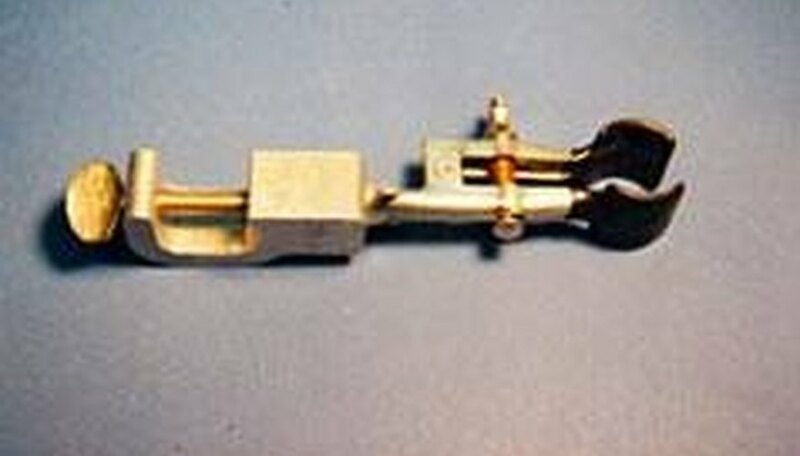 Etched into the body of the thermometer are markings indicating degrees in Fahrenheit and/or Celsius. Relevant periodic markings of degree units will also be present on the thermometer. For instance, if you are measuring in degrees Celsius, every 10 degrees will be marked on the scale, with smaller lines indicating single degrees. Thus, ice water will show up as 0 degrees Cesius, room temperature water might be 20 or so degrees and salted ice water may be as cold as minus-10 degrees or more. Hinckley, Michael. "How to Use a Lab Thermometer." Sciencing, https://sciencing.com/use-lab-thermometer-5067724.html. 24 April 2017.